It looks like Nokia is looking to expand the user base of its mapping technology, and the way it plans to do so is by announcing a new brand, HERE, and making it available to users of all platforms. In the following weeks, iPhone customers should be able to find a new app called HERE Maps in the App Store. The application will offer basic mapping features, as well as some more advanced ones like voice-guided walking directions, public transport directions and offline capabilities in order to enable users to continue using the app even when there's no internet connection available. In addition, in early 2013, Nokia plans to release HERE SDK for Android device manufacturers, which will enable them to build their own navigation applications using Nokia's technology. In case you're wondering why Nokia wants to make its secret weapons available to all, Stephen Elop, Nokia CEO, explains that in order to keep the quality of the company's location technology top-notch, they need lots and lots of users. That's why they are looking to spread the love to as many people out there as possible. But there's even more to Nokia's plans for improvement of its maps. 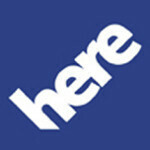 Nokia will also acquire a California company called earchmine, which specializes in the development of 3D maps. Nokia plans to use that 3D tech in order to enhance HERE even further. The deal is expected to be closed by the end of 2012, but it isn't known yet when we're going to see the results of it. Finally, Nokia announces yet another brand - LiveSight. Basically, this is the augmented reality technology behind the City Lens application available for Lumia handsets. The company mentions that City Lens is actually "the first application providing a LiveSight-enabled experience," suggesting that this technology may also be made available to use by other companies. Nokia will eventually become a Maps company during it's dying years.. I was a Nokia user from Nokia 3310 to N8 and now ELOP changed everything and no one wants to buy a Nokia phone. Lumia 920 is tempting, that's true, but if you have read the review of it here in Phone Arena, they mentioned bad call quality issue during phone calls; and what's the use of a phone that can't deliver decent phone calls? Well we won't know for sure if Call quality is bad or not since the reviews other than that of a certian fruit are biased on PhoneArena, I have a Lumia 800 n call quality is at par of high end phones. Though I've no idea about Lumia 920 but seriously Nokia stands for quality so I doubt they would release some thing like that. Sadly i have too agree with you - @ brar.arsh - My son used the N9, not anymore... Nokia was a "Heavy Weight Champ"; But now must tell all and sell all. Things that made Nokia unique are up for everybody now. Nice move. Good to see Nokia expanding their mapping technology. That would be perfect if they added offline navigation! You're right, offline navigation is the most important feature (from my point of view), I'm currently using ndrive on my SGS3 which provides offline navigation, and it works perfectly. Apple will never approve this, because they failed with there maps. So they will just copy Nokia and sue them for using Apple patents! Just so you know, Apple has a patent license agreement with Nokia, like the one they just made with HTC. atleast two(samsung,htc) are making profits in android camp... in wp???? HTC doesnt do anything to stand out other than shell design of the phone. That's not enough. If Nokia were to enter the Android space, a top shelf ProView camera attached to high end specs and a lightly to non modified Android OS would make a big splash. Honestly, I could see Nokia being the #2 Android manufacturer somewhere behind Samsung pretty darn quickly. Good design, best cameras around, same hardware capabilities, good build quality, and still has a very strong brand appeal... would all give Nokia an edge over most other android manufacturers. I think Nokia would be more likely to go back to MeeGo/Jolla Sailfish if WP8 failed, but I sincerely doubt it will. There's too much marketing and integration with Windows 8 for it not to do decently. I think Nokia should switch to Android otherwise after two years there will no name of nokia because Microsoft or any other company will purchase Nokia. seriously can you stop whining about nokia going android, they shouldnt it wouldnt work right now move on. My Dear Friend, I am telling a great truth about nokia's future. Nokia should change it's production policy. Nokia should make many plateform mobile devices like Samsung did------ 1. Windows Phones 2. Android Phones 3. Meego Phones I am a great fan of Nokia since 9 years and I had bought over 42 mobiles in this time. My last nokia mobile was Nokia N8 but when I saw that there is no new nokia's innovative mobile so I purchase Galaxy note and now I hane Galaxy Note 2. But if nokia launches it's android phone then I will again switch to nokia.